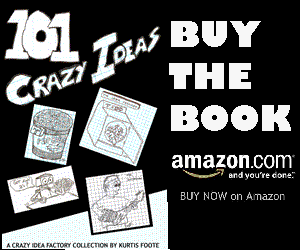 This crazy idea is inspired by the Illustration Friday word of the week, double. Are you running short on vacation days? Do you need to be in two places at once? Or, do you just need to get away from your desk for a little while? 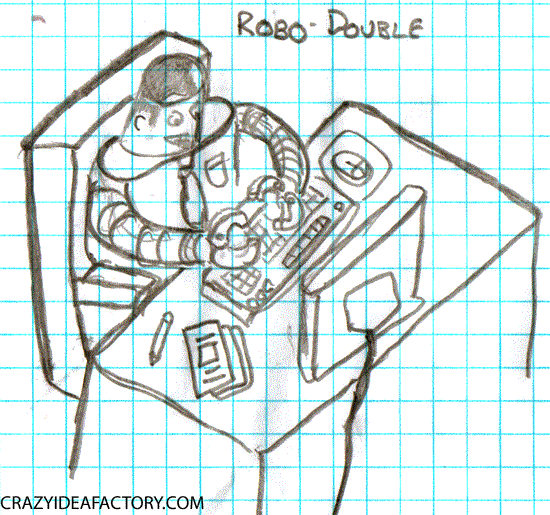 If you answered yes to any of those questions you need a “Robo-Double”. Face it, what you do at work probably isn’t as complicated as you make it seem to all of your friends. Robo-Double comes pre-programed with many of the most common business tasks you probably do everyday. Such as check email, look at Blackberry for more email, tell bad jokes, open random important looking documents, type random things, search the internet for useless things, and answer the phone with standard “I’m sorry, I just have too much on my plate right now” response. If needed you can also add the upgrade package for meetings and presentations.